Blog Magento - Embedded ERP 2.9.3.4 is released ! 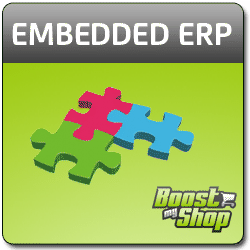 Embedded ERP 2.9.3.4 is released ! We are proud to anounce the release of Embedded ERP 2.9.3.4, our award winning ERP solution for Magento. If you already use Embedded ERP, login on your customer account, go in "My Products" tab and download it !